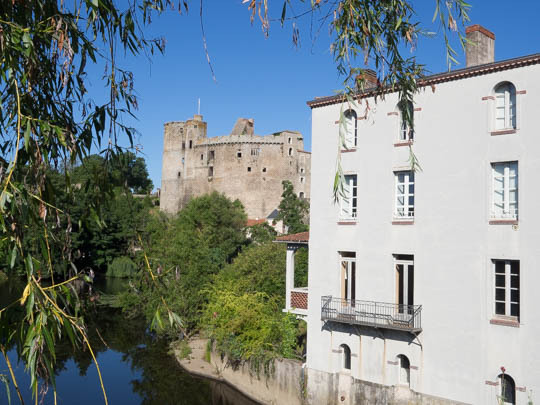 The small town of Clisson sits about 17 kilometers to the southeast of Nantes, in the department of Loire-Atlantique. It’s technically part of Brittany, but with a very different feel. “Tuscany in Brittany” reads the Office of Tourism website. The historic center of Clisson is home to a medieval quarter, dominated by the ruins of an impressive and imposing castle. 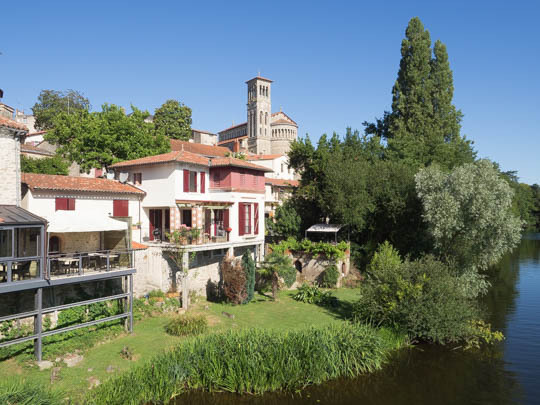 The center is also home to an array of Italian architecture, thanks to three residents of Clisson at the turn of the 19th century who shared a love of Italian art and architecture. The Domaine de la Garenne Lemot, just a few minutes’ walk from the very center of town, is well worth a visit for a stroll around the grounds. You can visit the grounds free of charge. 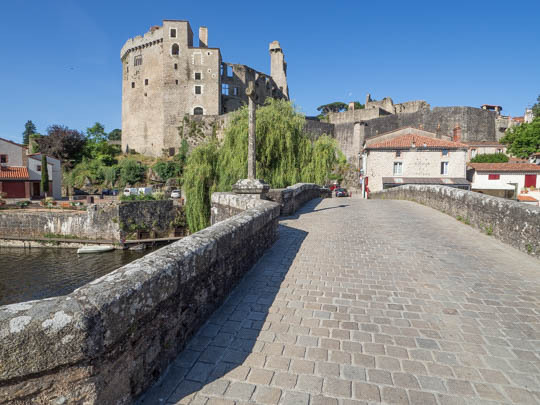 Clisson offers a number of walks, hikes and cycling paths. You can find maps to all these trails online. I followed the Boucle du Chaintreau (about 8km) through villages and vineyards. Clisson is also in the heart of Muscadet country. 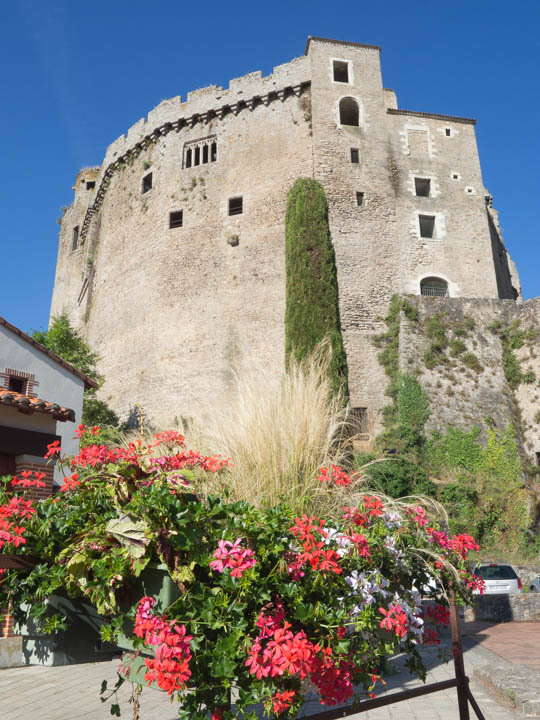 There are numerous family-run vineyards that you can visit in Clisson and in the surrounding towns. 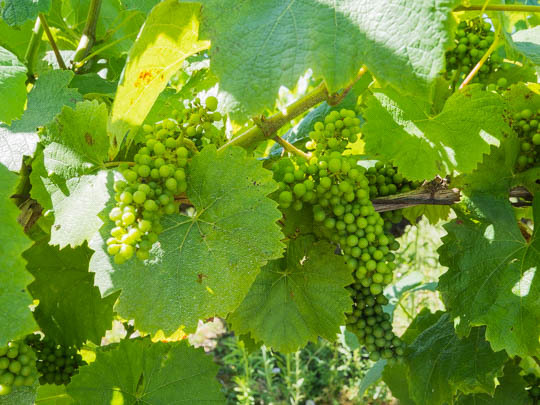 The Route Touristique du Vignoble Nantais (tourist wine route of the Nantes region) will lead you through beautiful vineyards and by plenty of places for dégustations or tastings. 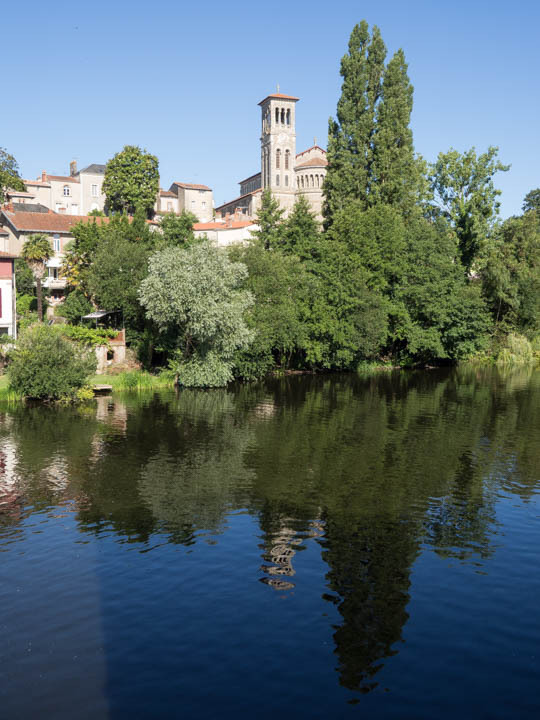 Clisson is well worth a stop for anyone visiting the region of Nantes!